G-Anime is a billingual festival. However, certain activities canot be presented in both official languages. Therefore, we have found a compromise, which is why we will present our objectives and operating rules. 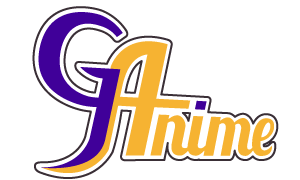 Our language policy has an impact on the choice of G-Anime staff and their assignments. We can not, and do not want to, deviate from this basic principle which helps to ensure quality of service and experience at the convention for everyone. - Panelists or activity hosts (unless the panel or activity itself is bilingual). However, they are not required to be billingual. These policies apply at all time. Failure to comply will result in a warning and possibly expulsion of the Convention floor. • Attendees must follow all listed policies while at the convention. • Children under the age of 13 must be accompanied by an adult (aged 18 years or older). • Con-goers must abide by the directions given by members of the SAJG , security, and volunteers. • Good hygiene is mandatory. and presented on request to the convention staff. a member of the SAJG. volunteers, under the terms of the Volunteer Policy). • Photography / videography is allowed in common areas (unrestricted) with the exception of screening rooms and the exhibition hall (unless permission is given by the dealer). • No outside food or drinks are permitted on convention grounds. Water fountains will be available for public use. • Smoking of any kind is prohibited in all public areas in Quebec (Section 2 of the Tobacco Act). No sales or solicitation for goods or services is permitted on the convention grounds without the authorization of the SAJG. Violators will be expelled from the convention. cases, the SAJG will allow exceptions. you start or shift and report in once your shift is over. - Communicate in the attedee’s preferred language. For the safety of all con-goers, the following restrictions apply to weapons and bulky equipment. All con-goers must abide by this policy and comply with it at all times. A “weapon” is any object that may be used for attack or defense or a replica of such an object. An “accessory” is any object that is associated with a costume but is not an essential part of it (e.g. anything that limits movement and/or vision). When in doubt, submit the weapon or accessory for inspection to the Weapons Master. Security staff and members of the Organizing Committee reserve the right to inspect weapons, labels and markings on badges at all times. If there is any sign of tampering, Weapons Masters will confirm the authenticity of labels and markings. Before you wander around the convention grounds with your weapon or accessory, you must have it checked in person by one of the G-Anime Weapons Masters, who will mark it appropriately thus showing it has been approved. Any and all additional weapons and accessories must also be verified before being allowed on site even if the con-goer has already successfully submitted other weapons or accessories for inspection. Any weapon or accessory is to be associated with a specific person that will be responsible for it at all times. This person may not lend his/her weapons or accessories to anyone. Si l’arme ou l’accessoire est approuvé, il sera étiqueté et l’insigne du festivalier sera identifié en conséquence. d’hôtel ou voiture), ou le laisser auprès des maîtres d’armes. Veuillez noter que les maîtres d’armes ne sont pas responsables de l’arme ou de l’accessoire laissé en dépôt et qu’il incombe au festivalier de venir le chercher. Toute arme ou tout accessoire qui est encore à la vérification des armes le dimanche à la fermeture du festival devient la propriété de la SAJG après la période légale de six mois. If a weapon or accessory is allowed, it will be labelled and the badge of the con-goer will be marked accordingly. If a weapon or accessory is not allowed, the con-goer must either remove it from convention grounds immediately and store it in a suitable location (e.g. car, hotel room, etc.) or leave it with the Weapons Master until they depart or the convention is over for the day. Please note that the Weapons Masters are not responsible for weapons and accessories left with them. Con-goers are responsible for the retrieval of their property. Any weapon or accessory still at Weapons Inspection by the end of the convention on Sunday will become the property of SAJG after the statutory period of six months. • Real firearms, in working condition or not. • Metal weapons, with sharp edges or not. • All projectiles. Weapon or accessories resembling a projectile weapon may be permitted at the discretion of a Weapons Master. Generally, it is advisable that these weapons be made permanently inoperational. • All weapons used for law enforcement such as mace, stun guns, or batons (foam replicas are allowed). • All weapons or accessories over 8 feet in length. Heavy or bulky accessories may be permitted at the discretion of the Weapons Master. • Any weapon or accessory considered dangerous by the Weapons Master. *This list includes only a few examples. Please note that it is possible to be exempted from the application of this policy, but only for the Masquerade. To get such an exemption, participants must submit such a request to the Masquerade Director AND the Chief Weapons Master before Masquerade registration closes. • In extreme cases, criminal charges may be brought to the offending party. Any decision made by the Weapons Masters or by members of the Organizing Committee is final and will be enforced to ensure the peace of mind and the safety of individuals on the convention grounds. In case of disagreement, SAJG members ALWAYS have the last word.